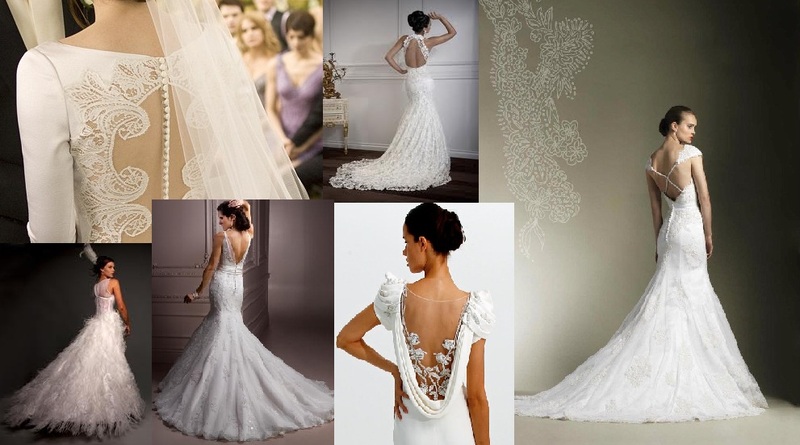 I'm not going crazy wedding obsessed or anything, I just Love (with a capital L no less) no sheer prettiness and gorgeous quality wedding dresses have. I'm sure it's the same with a good load of girls across the world; we all dream of that one perfect dress. I've just had a little burst of browsing the internet for dresses and thought I'd share them here. 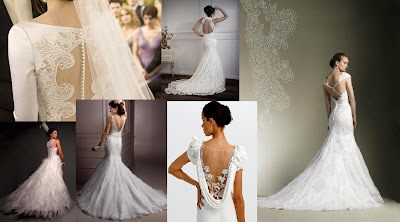 The dresses above all have beautiful detail on their backs. And yes, Bella Swan's dress does feature there, but I just love the lace and button detail, it's just so delicate and pretty! I'm loving all the lacy looks about at the moment - maybe it's as a result of THAT wedding dress Kate wore, but I'm not complaining!